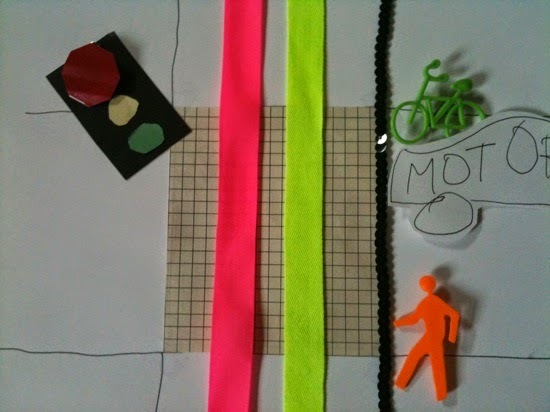 Urban Adonia: Street Ethnography: How Elastic Are Your Intersections? 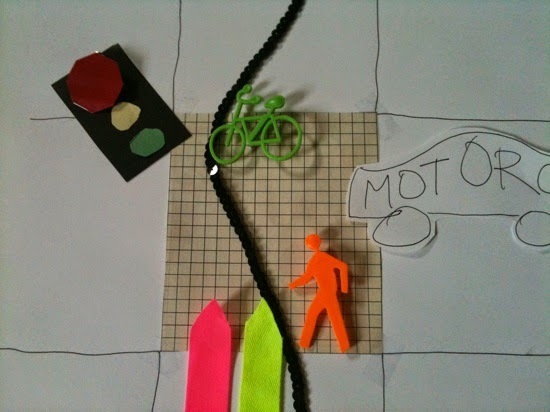 Street Ethnography: How Elastic Are Your Intersections? Here's what I've learned about streets: people disagree about how to use them. There are laws, there are stripes, there are bollards, and then there are all these randos doing what they think is best. As a street ethnographer, I have observed that some intersections are more "elastic" than others, and this flexibility comes from people's attitudes rather than road design. When I first started bike commuting in Portland, the heart of Law Abiding Cyclist Country, I got really jazzed about always stopping at stop signs and red lights. It made sense to me that I could make drivers take me seriously by behaving predictably. I'd grown up in a place where jaywalking meant running across the street, because pedestrians having priority was more theoretical than real. So it followed that, using this new mode of transport, I should do what the signs told me to do. An inelastic or rigid intersection. The black line is the measure of elasticity. Then I moved to Los Angeles, where my illusion of drivers taking cyclists seriously as road users dissolved in a hail of honks. I started thinking of riding as a fight, and playing dirty was the norm. I gave up stopping at stop signs, just making sure things were clear before I continued on. I still stopped at red lights, though. Signalized intersections seem a lot more rigid to me. Sometimes drivers would wave me on while I waited for them to pass, like they had in Portland, but here I took the offered right of way instead of using it as a "teaching moment." A more elastic intersection. 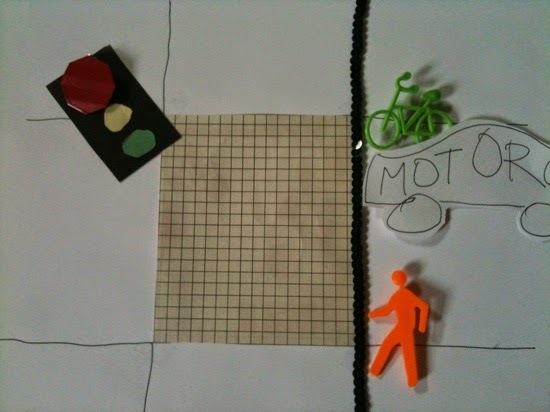 Note that the pedestrian has more freedom of mobility. Now I'm in Washington, D.C, and wow, I look like a country mouse when I hesitate at intersections. 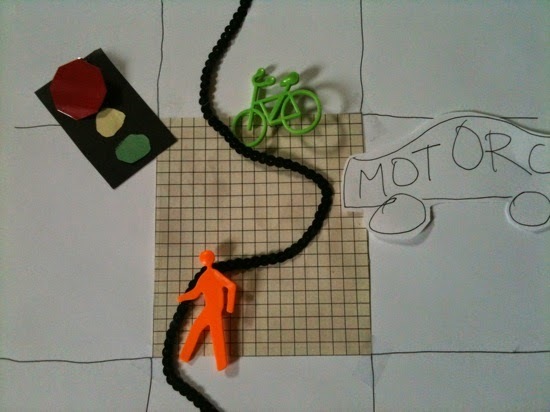 Every time I pull up on a bike or on foot at a corner, others stream past me. The signals here seem to be more suggestions than anything else. Drivers, too, inch forward as much as they can, sometimes being halfway through the intersection before the light turns green. A very elastic intersection, as is common in D.C. Since I've observed so many other bike users and pedestrians, and as I noted, even motorists, making the point, it's hard for me to ignore the logic of pressing forward into empty space. Traffic signals should guarantee right of way, from a predictability standpoint, but should they impede the flow of people when there's no right of way to protect? 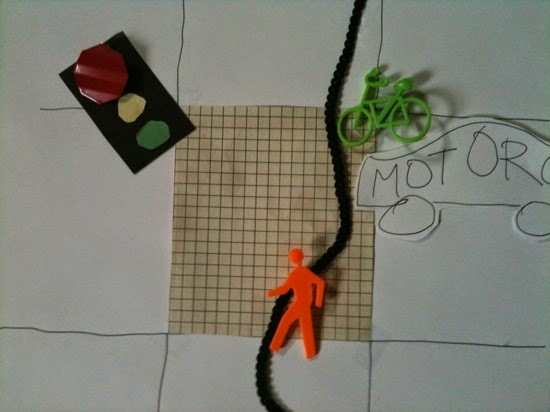 Pragmatic rigidity: honoring cross traffic's right of way. I know that a lot of our road design standards have been developed through years of liability lawsuits and efforts to control safety. It's just weird to me that the reality, as seen from the everyday scale of ethnography, is a lot more pragmatic. If we really want to promote active transportation, shouldn't we legitimize the greater elasticity walking and biking afford? Does it really make sense to limit these modes according to the car-based paradigm of traffic engineering? As the cross traffic clears the intersection, the elasticity returns.